We are a diverse group ranging from professionals through to complete beginners, who all work together to create shows. However; sometimes we are asked what we expect of a performer with us, and we have had several situations where someone wants to join, but treats the group as a space to joke about in, and thier conduct falls short of social acceptibility, not to mention, of being an actor/performer. Again, each of us, once upon a time, has been on stage for the first time, and probably wondered what is expected. Lack of experience does not mean lack of talent or that you cannot perform in a show. What is important is how you approach the task in hand. We want you to be involved, and to have a great experience as a performer, showcase the very best of your skills, and to hopefully develop some new ones. This is what is expected of actors and performers in any theatre group or in any film or TV work as well. Remember that with any theatre project, a show is a team effort. You rely on the rest of the team to support you, while each and every other member, also relies on you to be up to the mark as well. Being a performer, at any level, regardless of experience, does require a fair amount of self discipline and hard work - you will be expected to learn lines, attend rehearsals, wear costumes, etc. That is all part of "what it takes" to be an actor. 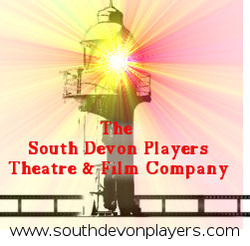 For full details on required conduct within this theatre company, please see the members rules page. Failure to observe these rules, and the members rules of conduct, may result in being required to leave the show. * To attend weekly/ twice-weekly rehearsals per week, on time, in a reliable manner, and to contact the director in advance, if likely to be late, or needing to miss a rehearsal. Final dress rehearsals and shows, cannot be missed. * To always bring your script, a diary, and a pen with you. * To maintain a high level of discipline in learning lines and blocking (where you stand or walk, etc) in a timely manner as agreed with the director. * To behave at rehearsals and performances in a disciplined manner - eg, arriving on time, not distracting other performers, not making phonecalls during rehearsals, not trying to direct the show yourself, not breaking character on stage. * To respect yourself, the rest of the members and the group itself. We have fun and a lot of laughs, but that is not an excuse to be lax on your performing. * To not try to overrule the director - if you have a suggestion, do not shout it out in the middle of a scene, or interrupt the director during note giving why not make it to the director in a break, in private? * If you have a problem with rehearsals, line learning, or anything else related to the show, please discuss it with your director, in private, at the earliest possible opportunity. It is not fair on yourself, or everyone else, to leave it until the last minute. * To not harass other members - or the public - or make them feel uncomfortable in any way. We begin by requiring everyone to attend on time. This means that at the stated time for the show, we will begin with group notices. These consist of reminders of upcoming events, any club notices, possible local TV/ film opportunities we have been informed of, and any special information/ requirements with regard to the rehearsal at hand. Rehearsals then begin, and run until the allotted end time. The director will then give notes to the cast, and then everybody helps with packing down and making sure our hired room is left nice and tidy for the next people to use it.